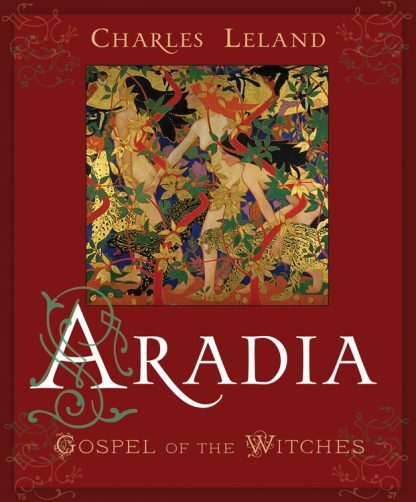 If Gerald Brosseau Gardner is the father of the religion that calls itself Wicca, then Charles Godfrey Leland is the grandfather of Witchcraft as a religion in the English�speaking world, and his small book, Aradia, is that religion�s birth-announcement. It is the first work in English in which Witchcraft is portrayed as an underground old religion, surviving in secret from ancient Pagan times. Until now Aradia has been a work more often cited than read. Its first edition (1899) garnered only one review, and sank from sight like a stone cast into murky waters; it sold poorly and is now a rare book. By chance a copy fell into the hands of Theda Kenyon, who devoted a few pages to it in her sensational Witches Still Live (1929), thereby calling it to the attention of many readers. By the 1950s Doreen Valiente had read Aradia, and she incorporated some of its most beautiful passages into the Wiccan rituals that she wrote. In the �60s and �70s it was reprinted four times, but always from a defective copy of the first edition that had lost its last page. Only in the �90s did another reprint finally restore the missing page. Aradia has always been a controversial work, among Witches and scholars alike. Scholars have questioned whether it may be a fiction or a forgery by Leland or by his principal informant, Maddalena (Margherita Taludi). Witches have objected to it on theological and ethical grounds, since some of the myths that it tells are about Lucifer and Cain as well as Diana and Aradia, some of its spells work by threatening or coercing the Deities and spirits, and in its revolutionary fervor it does not shrink even from teaching that the poor and downtrodden should use poisons to destroy their feudal overlords. Despite all that, it remains a beautiful and compelling work. This edition has brought the format and typography up to date, while keeping the text unchanged. A modern reader will undoubtedly find this new edition of Aradia much easier to read than the original or any of its facsimile reprints.